Unifor Local 444 members employed at Windsor Machine and Stamping have a new contract. Workers voted 63 per cent in favour of a three-year collective agreement on Sunday. 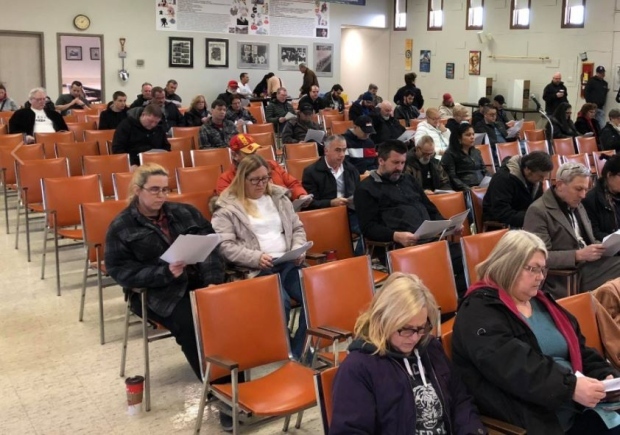 Meanwhile, unionized workers at Green for Life Environmental in Windsor heard details of their first tentative agreement on Sunday. They then ratified their collective agreement, with a vote of 95.1 per cent in favour of the deal. GFL’s 44 employees are also represented by Unifor Local 444. GFL was hired by the city eight years to collect residential garbage. The contract runs until 2024. Workers voted in favour of strike action back in November. At the time the main issue was wages. As part of the new agreement, the workers will see an hourly wage hike of a $1.35 over the three year agreement.